We have some more upfront news. Bounce TV, the nation's only broadcast television network for African Americans, announced its first-ever slate of upfront programming plans, including original new scripted and non-scripted series, series renewals, the return to broadcast television of one of the most-popular game shows in history, an exclusive new college sports rights deal and more theatrical motion pictures for its impressive library. The news that you want to hear first is about the new sitcom. My Crazy Roommate is an original scripted sitcom in the tradition of 2 Broke Girls, Laverne and Shirley and The Odd Couple. Two young African American women, from vastly different backgrounds, are forced together as roommates while each struggles to find her fame and fortune in Los Angeles. 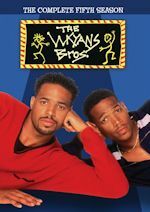 Created and Executive Produced by Bentley Kyle Evans (Martin, The Jamie Foxx Show) through his Bent Outta Shape Productions. The new sitcom premieres in Fall 2013 with casting information to come, so stay tuned. Bounce TV did air the sitcom Family Time last year starring Omar Gooding, but not much has been heard from that series since besides TV One acquiring the short-lived series' run. Elsewhere, The Newlywed Game will be back on broadcast television on Bounce TV. Hosted by The View's Sherri Shepherd, this new version is as wild and hilarious as the one viewer's remember - but with a decidedly sassy and contemporary flavor. The Newlywed Game is produced by Embassy Row for GSN. Broadcast television premiere for this version will be in Fall 2013. 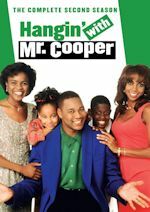 Bounce TV has plenty of other original series coming up, including many unscripted series. Still no word if they will air a classic sitcom. Right now the only series they air is Fat Albert and the Cosby Kids, with much of the schedule filled with movies. ABC's Comedy Wednesday anchor starring an ensemble cast lead by Ed O'Neill, airs Wednesday nights at 9:00pm and we have just watched the season finale that airs tonight (May 22). Fred Willard returns as Frank Dunphy. In the season finale, "Goodnight, Gracie," everyone flies down to Florida to be with Phil (Ty Burrell) after his mom's passing. 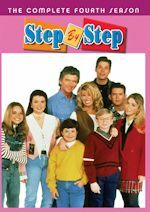 Claire (Julie Bowen) helps Phil with Gracie's last wish for Frank (guest star Fred Willard), and the kids (Sarah Hyland, Ariel Winter, and Nolan Gould) reflect on the gifts grandma left for them. Gloria (Sofia Vergara) has to contend with an outstanding arrest warrant in Florida, Cam (Eric Stonestreet) finds himself fitting right into an elderly women's group at Frank's retirement community, and Jay (Ed O'Neill) runs into a pivotal person from his past. 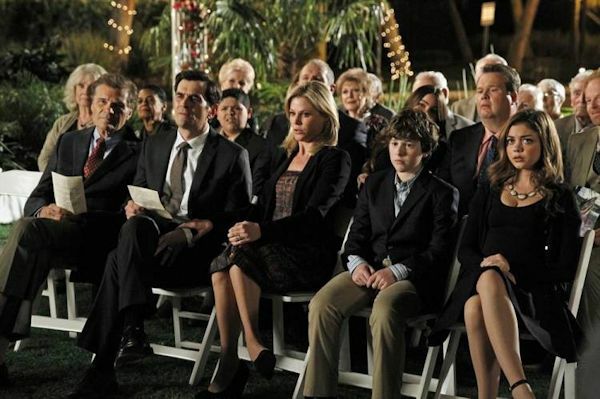 It's the season finale and Modern Family always steps it up a notch (if that's even possible) for finales. And that's the case here. It's a sad day for Phil Dunphy because his mother has passed away so he goes down to Florida. The rest of the family will then join him and to mourn the loss. Fred Willard returns as Phil's father and he once again shines, even in at a sad time. Just because there is a death doesn't mean this episode is doom and gloom. In fact, there are plenty of laughs. When the family is all together, you know there will be laughs. They sort of go their separate ways before the funeral, but it doesn't seem like they are separated. Gracie, Phil's mom, has left behind an odd last wish for Phil's dad and Claire tries to fulfill it and get Phil on board as well. The dynamic duo of Phil and Claire bring it in this finale, while their kids have a good storyline about the gifts their grandma left for them. Moving on to the Pritchett clan, Gloria returns to Florida and she left the state on some bad terms so she gets Mitchell to try to help her out...in the courtroom. It's good to see Mitchell back in the courtroom. Jay sees someone he remembers but just can't place who she is and the reveal is hilarious. And finally, Cam is being Cam by mingling with Phil's moms friends at the retirement center. These ladies are sassy and love Cam! 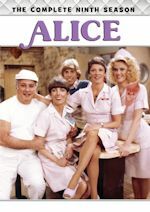 Classic sitcom fans, look for guest star Mary Jo Catlett as Edith. Mary Jo of course played the third housekeeper on the hit '80s sitcom Diff'rent Strokes. You might not recognize her right away, but you'll spot her voice out right away. Pearl!